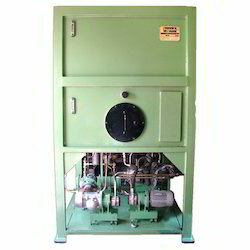 Prominent & Leading Manufacturer from Bengaluru, we offer hydraulic test rig and hydraulic valve test rig. We present a comprehensive range of Hydraulic Test Rigs which is precision engineered using premium quality raw material. These are uniquely designed to suit the needs of our clients and are tested on specified parameters. Also, the range of test rigs is used for performing endurance test, leakage test, cylinder test, and performance test of hydraulic pumps & valves. 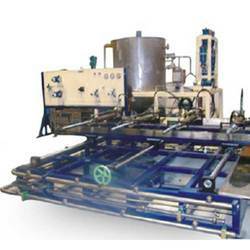 We offer Test rig for Hydraulic Cylinders and Filtering System. We have gained acknowledgment as an eminent enterprise, staunchly involved in presenting a broad range of Hydraulic Valve Test Rig. Backed by a team of masters, this rig is manufactured using quality proven stuff and advance technology. Our presented range is exactly designed, in order to meet up the international parameters. Additionally, this range is attainable in assorted provision, according to the diverse needs of our valuable patrons. Our rig is severely examined on diverse parameters to assure it on counts of quality. Looking for Test Rigs ?